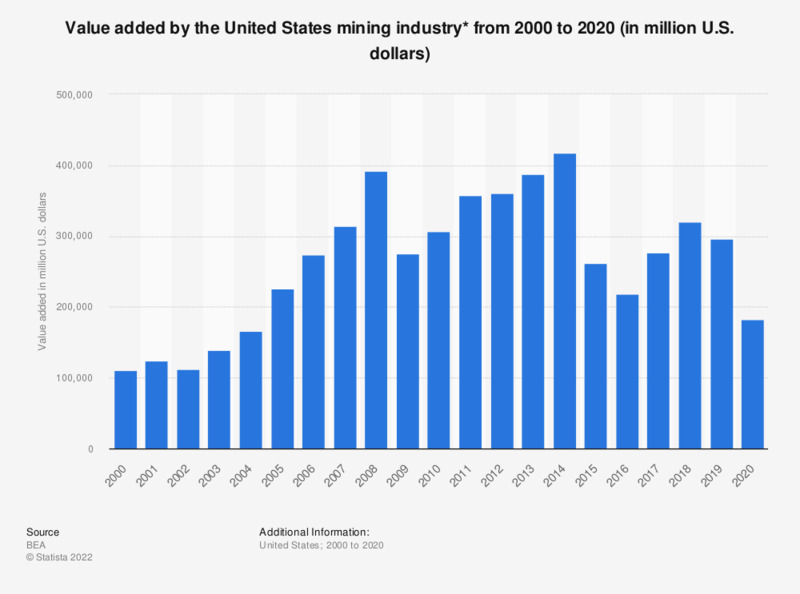 This statistic displays the value added by the United States mining industry from 1998 to 2017. In 1998, the value added by this industry came to some 81 billion U.S. dollars. In 2017, the added value was more than 268 billion U.S. dollars. * Including: oil and gas extraction, mining except oil and gas, support activities for mining.